Ofoli Kwei's Spot: Thank You! Blogging Ghana. I have been blogging somewhat for the past few years. I'm a big basketball fan and hope to help drive Ghana Basketball to higher heights. Check out REBOUND. I enjoy reading and writing quite a bit and have always enjoyed my English classes. I've spent many a night brooding over the idea of having my own blog but like we say in Ghana the ''vim'' has never been enough. 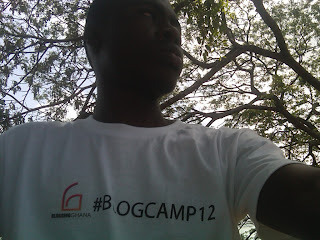 But then I attended Blogging Ghana's #blogcamp12 and the vim level shot up like crazy! and here I am putting up my very first. This was one of the few events I've attended in Ghana where people weren't complaining about it being too long, case in point; check out our churches on Sundays when they run minutes late. Let's not waste time to describe what the faces change to in the pews. The day was on point and out-rightly informative. From Anti-Rhythm himself doing damage with his presentation to Nana Kofi Acquah's presentation on photography to the entertainment and marketing session with @Abocco and co.
Nana Kofi thought me that as a blogger I'm an activist of sorts and need to take stand on issues, no politically being correct things. Anti-Rhythm thought me that I'm not a journo and if I slack with my words I could end up at Nsawam or make a hole in my bank account that will last forever. The whole event thought me or should I say confirmed what Ken Robinson said in one of his TED presentations; collaboration is the stuff of genius! Great post. 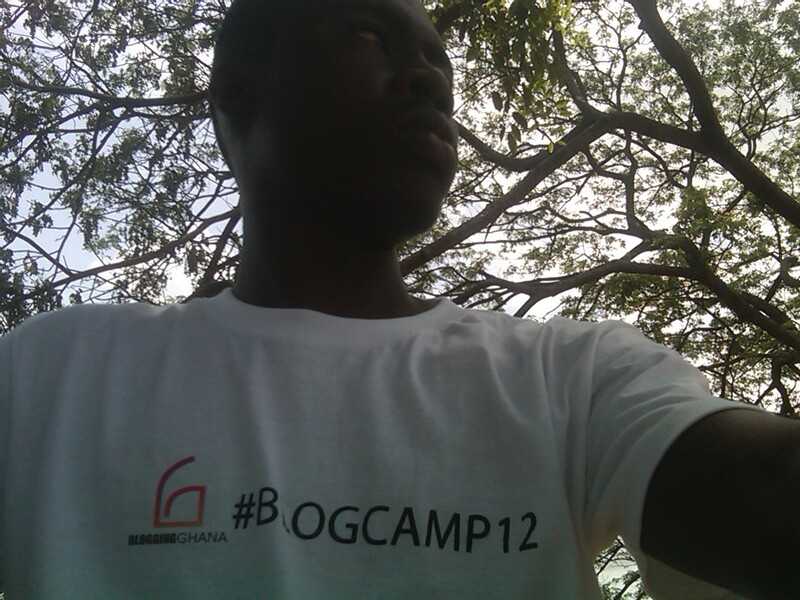 I must admit, blogcamp12 motivated me a lot. Meeting @ameyaw112 to learn more about how to make money with my blog ( www.estockanalysisblog.com ) was a great experience. The 'vim' in me now is incredibly high. Good to meet you and @raindolf of OasisWEB.... Kudos Blogcamp organizers. Way to go Kwei! Like I said in my post: http://dominicmary.blogspot.com/2012/05/blogcamp-2012-experience.html, the event was simply stimulating and it was encouraging as well. 'twas great meeting you guys. I wish you more vim! Been feeling a bit more of the vim myself. You sound really fun. Would be looking out for more vim fuelled blogs from you. Thanks guys! really appreciate...and will try to keep my vim level at a constant high and i pray yours to remain high!